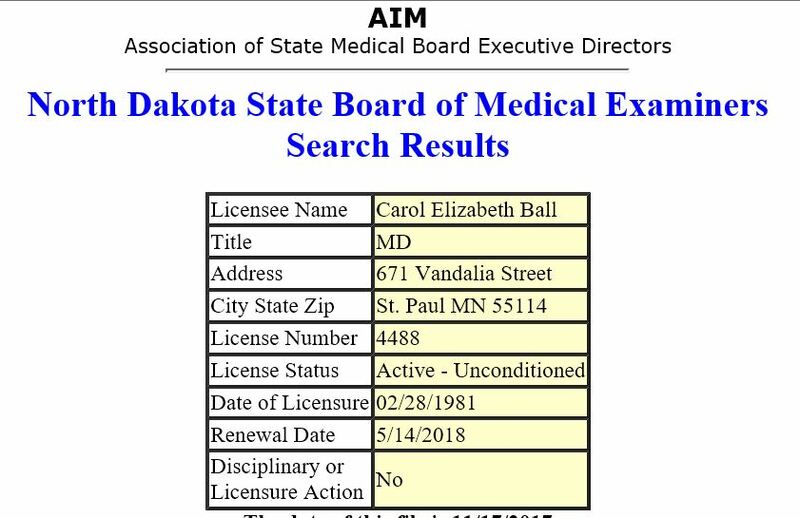 North Dakota medical license for Carol Elizabeth Ball, MD. Valid through 05-14-2018. 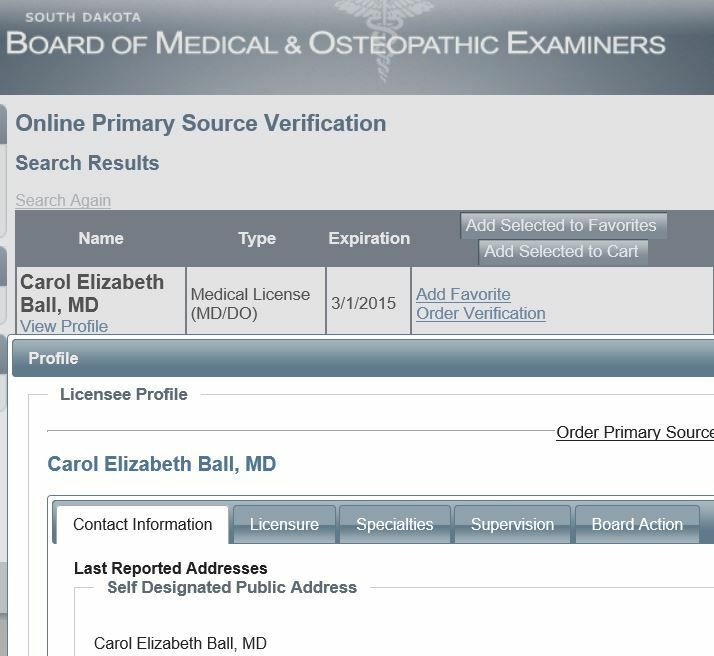 Profile for medical license in South Dakota. 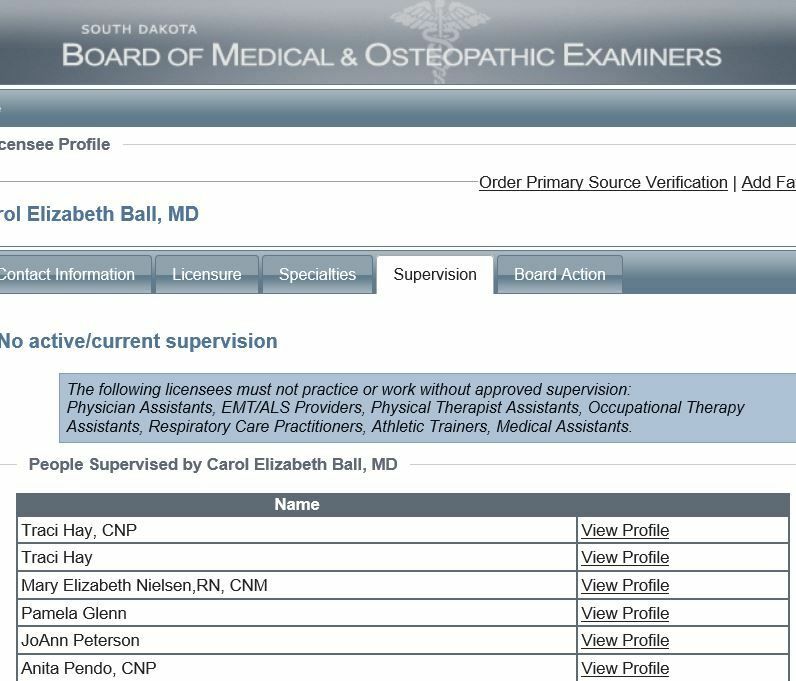 Abortionist Kimberly (Mark) Fischer has her "good moral character" statement signed by abortionist Carol E. Ball. 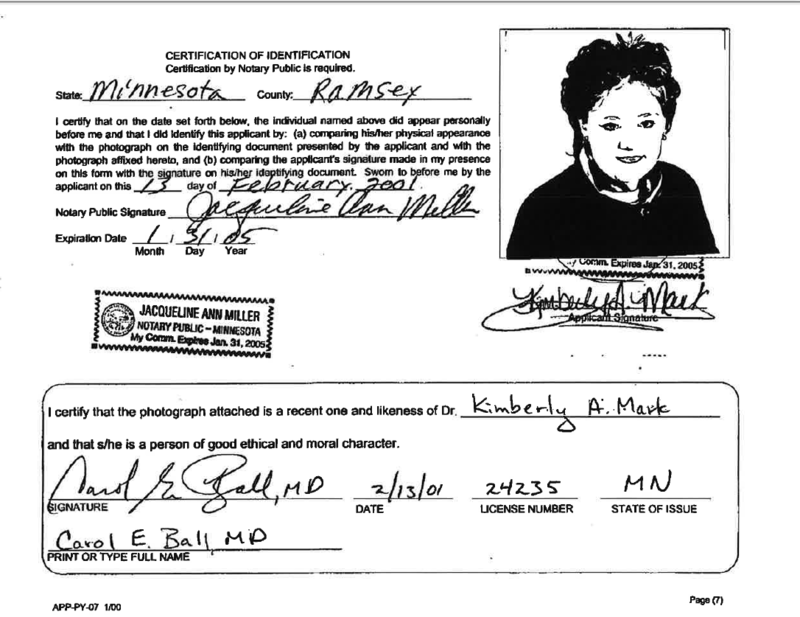 Excerpt taken from page 6 of Fischer's Minnesota license application (see below). 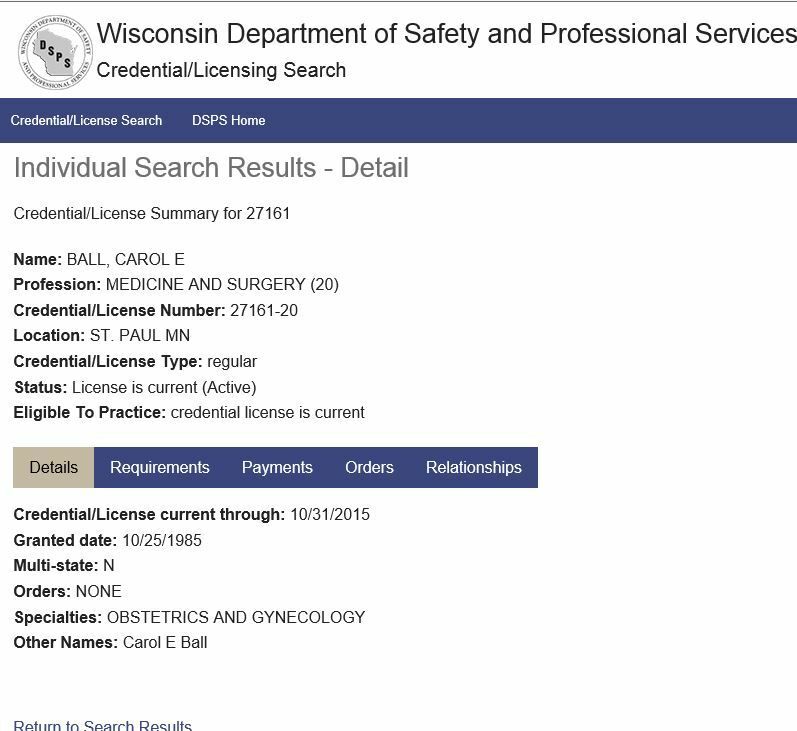 Minnesota medical license application from abortionist Kimberly (Mark) Fischer. 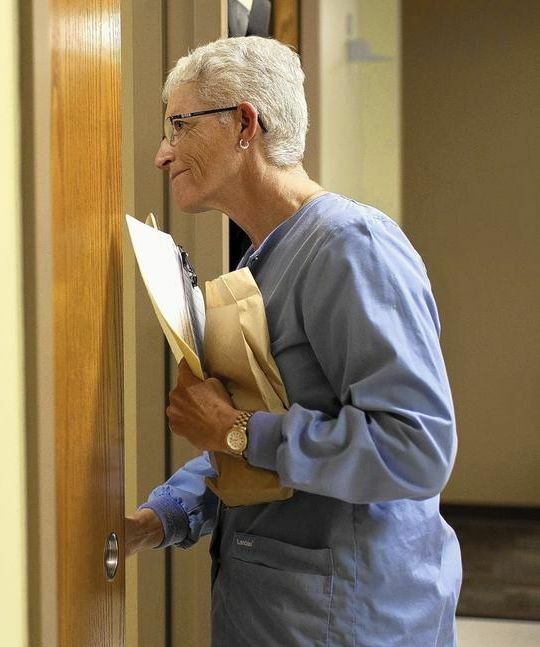 Note her "good moral character" statement is signed by abortionist Carol E. Ball. See page 6.